Welcome to the Rosebud Secondary College website. I would like to begin by thanking you for your interest in our College. To educate your child is a responsibility that we take very seriously. As principal of the College, my job is to make sure that all members of the College staff work alongside you as parents and carers to nurture, encourage, discipline, support and most importantly educate your child. The importance of strong relationships between the school and families is well documented in terms of the positive impact that your involvement in your child’s learning has on their outcomes. As parents you have the most influence on your child’s development; just think about everything you taught them to do before they even began school. I sought the position of Principal of Rosebud Secondary College because I wanted to lead a school that belonged to a community and I wanted to lead a school with a proud history. 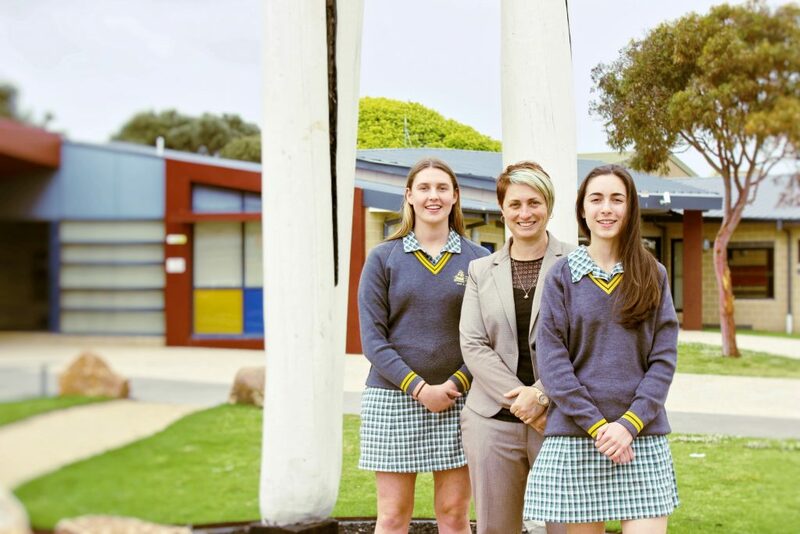 I am passionate about making Rosebud Secondary College an outstanding learning community that offers the young people of the southern Mornington Peninsula vast learning opportunities. and the students with one another. Each of these relationships is different. The relationship that we have with students is based on them as a person and them as a learner. We are committed in our expectation that the behaviour and actions of everyone in the College community, staff, students and parents are guided by the College Values, because that is the way that we will achieve our mission of educating our students, your children. Sir Ken Robinson is a world renowned education expert. One of the things he says is ‘A great teacher obviously knows their material, the real skill is engaging people in the material. Teaching is an art form, not a delivery system’. I feel very fortunate to lead a team of very experienced practitioners who know their content, and who value being the best teachers they can be for the young people of this community. I have high expectations of our teachers. I expect the teachers to know their subject and material, to teach well prepared high quality lessons and programs, to engage the students in learning by the use of contemporary technology, and to make learning enjoyable and relevant. Our teachers have high expectations of their students and I expect our teachers to be proactive in teaching social skills and responding swiftly and appropriately to any incidence of poor behaviour. We have a broad definition of success and we value a diverse range of destinations. We are proud of our students who have gone to university, to TAFE, onto apprenticeships, traineeships and employment. We ensure that our students learn and develop employability skills in addition to knowledge and information. Our students continue to achieve great things and they are happy and friendly and that is important to us as well. We recognise that students have very diverse interests, and we work hard to provide a range of opportunities with which they can engage. They might be involvement in whole school and interschool sport on an individual and team basis, music, drama, World Challenge, College musical and theatre productions, debating, leadership programs and various clubs if they so choose. They are offered urban and rural camps, interstate trips to Central Australia as well as overseas tours to Japan, the USA and Indonesia. As a Rosebud student, your child will have many opportunities to enjoy, thrive and excel. At Rosebud Secondary College, your child can achieve whatever it is that you are imagining for them. I thank you for your interest in our College and look forward to meeting with you and your child soon.